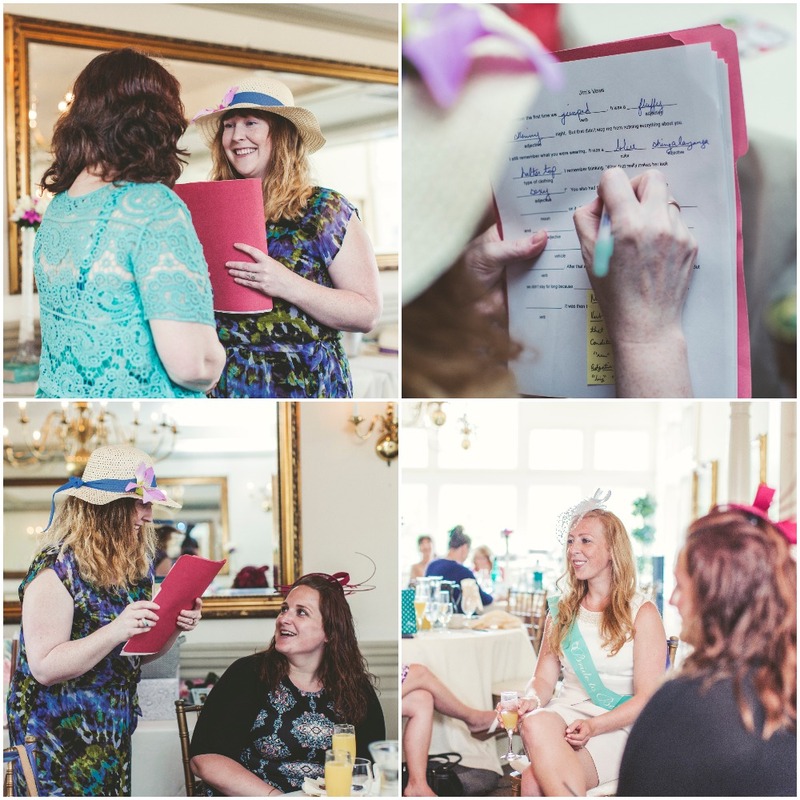 My sister’s bridal shower was held recently, and in part 1 the planning process was discussed. 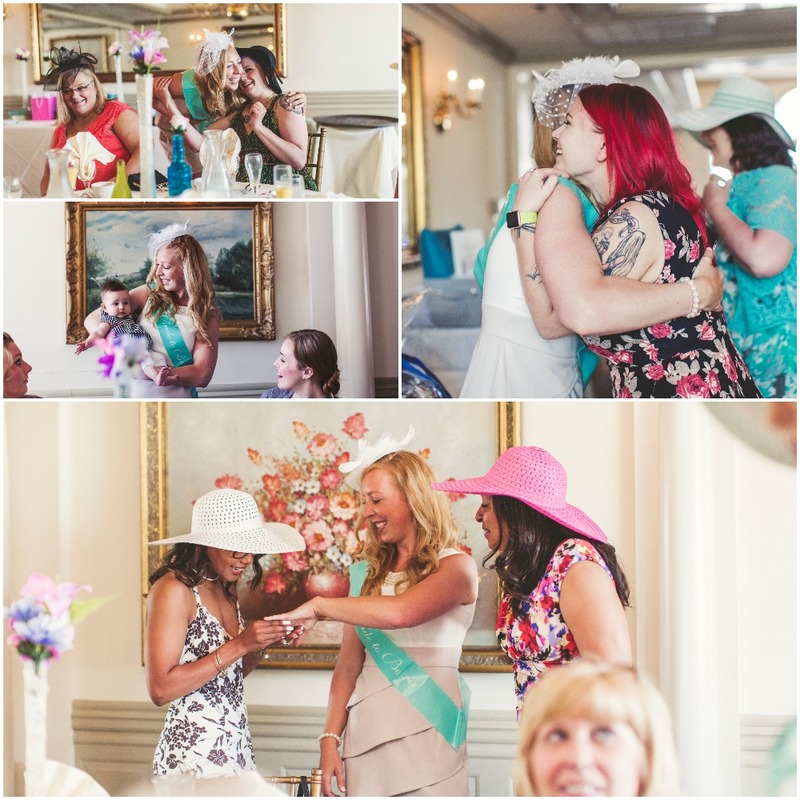 A garden party bridal shower is so much fun, and we want to share more details of the day. Plus we want to share how happy the bride was to see everyone. Cause that is what it’s all about right!? A happy bride. 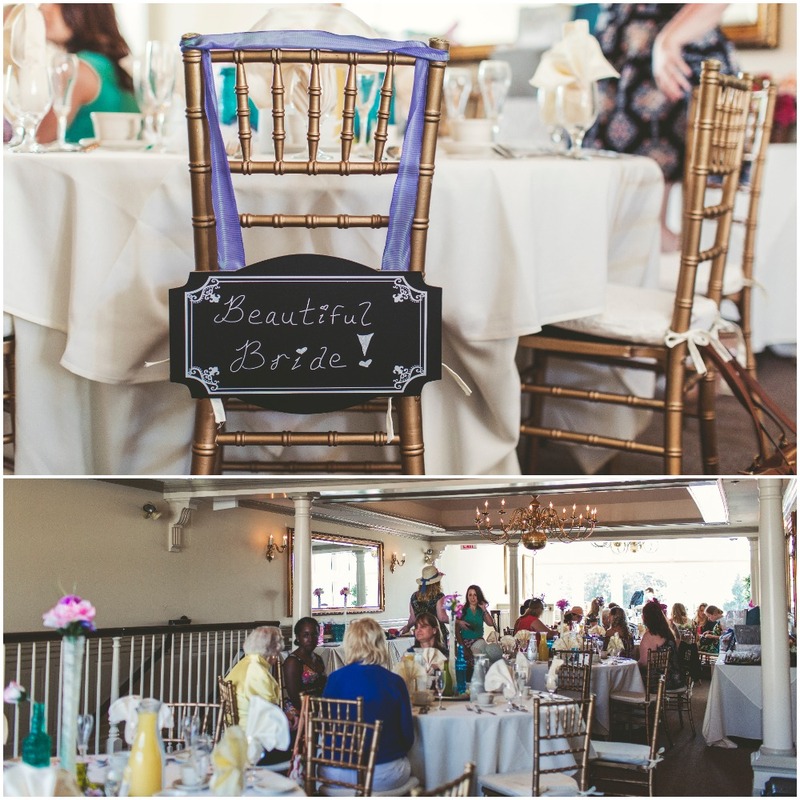 Guests awaited the arrival of the bride, Christina, with conversation and unlimited mimosas. It is a fact, that you can never, ever go wrong with bottomless mimosas. Christina arrived, and although she knew about the shower, she did not know the theme. 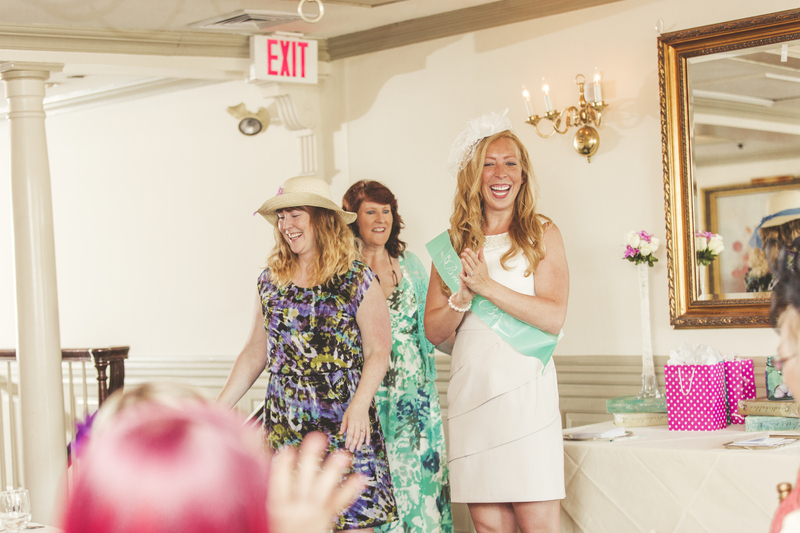 We quickly dressed her with a white fascinator and a bride-to-be sash. We had told her to wear a white dress, so not to spoil the theme, and this made it easy for us to buy complimentary accessories. The shower atmosphere was one of excitement once Christina was there. She hadn’t seen most of the guests in over 6 months, as she currently lives in Europe. It was happy hugs all around and then numerous guests asking to see “the ring”! One thing was for sure, the majority of the guests were willing to go along with the theme and had on floral dresses or shirts. Most wore their own hats. Those that didn’t bring a hat could borrow from some being provided by the bridesmaids. 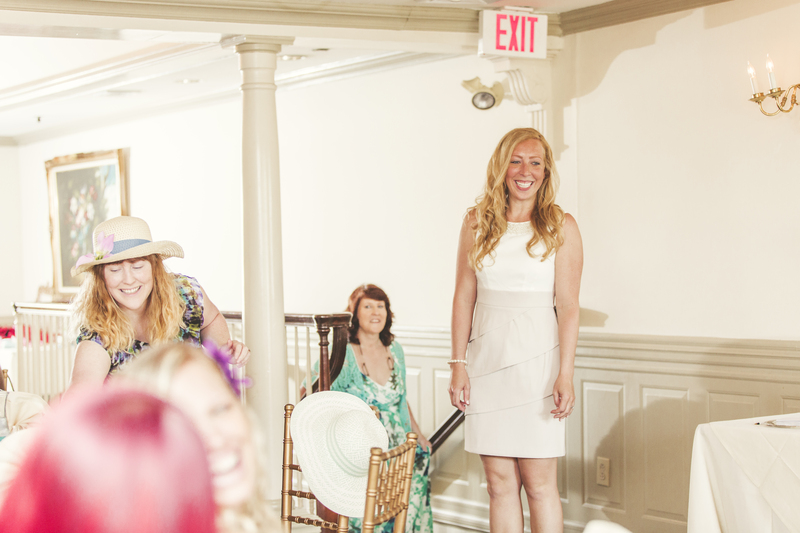 Numerous games were played, including an icebreaker asking guests to tell how they met the bride. This was a great conversation starter for those that didn’t know each other well. At the end of the shower, all these papers were collected to share with the bride. Another game specially created was called “Where in the World are Christina and Jim?” Living in Europe, the couple travels to other countries often. Hilarity ensued with this game because there was a four-way-tie for 1st place. When the tie breaker question, “In which country does the couple currently reside?” was asked, none of the four possible winners knew the answer. Luckily there were enough gift bags, so all four winners were given a prize. 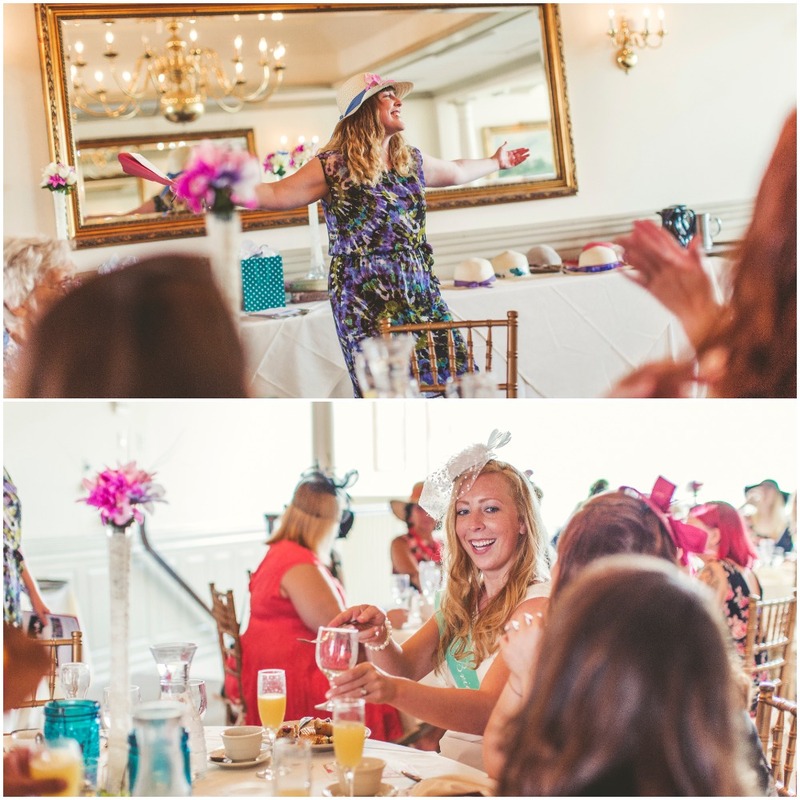 Trying to get the guests attention was hard at times, so the Matron-of-Honor (yours truly! ), had to call in a favor from the bride. Even she had to clink her glass. That’s what happens when your guests are truly enjoying their mimosa and conversation. We wouldn’t have had it any other way. It was now time for the bride to open gifts. Christina received many lovely items. There were lots of Paris items to add to her growing collection. She was also blown away to see a present labeled Sprinkles and Jimmies, referencing the name of her personal travel blog. 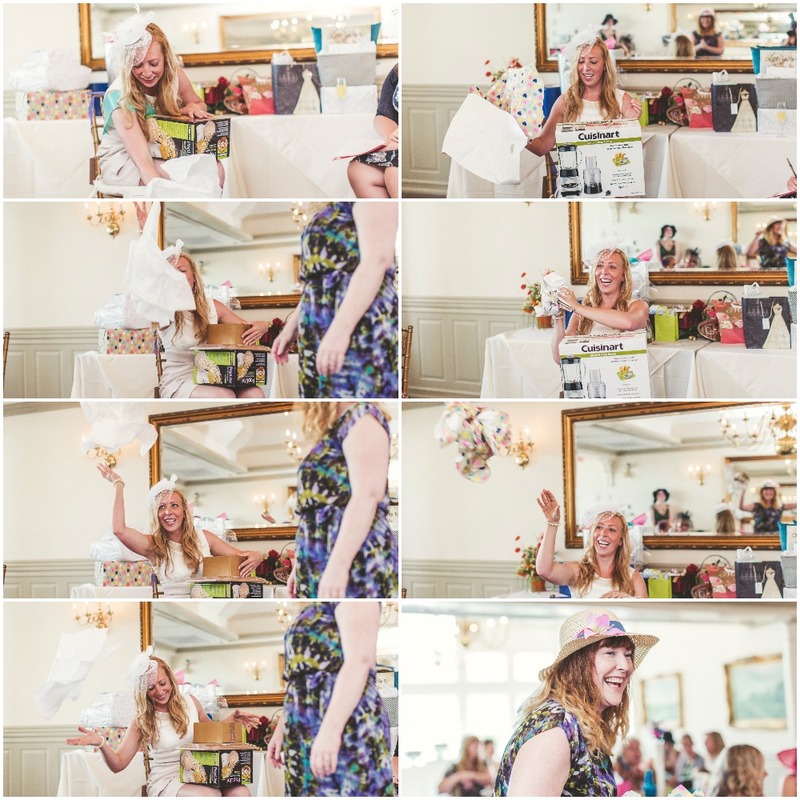 The bride made the most of opening her gifts. At one point there was tissue paper everywhere. It’s okay, the bride was having so much fun, and is was an easy cleanup. The vibrant energy, flowing drinks, and laughter made it a memorable day for all. Most importantly the bride was happy. 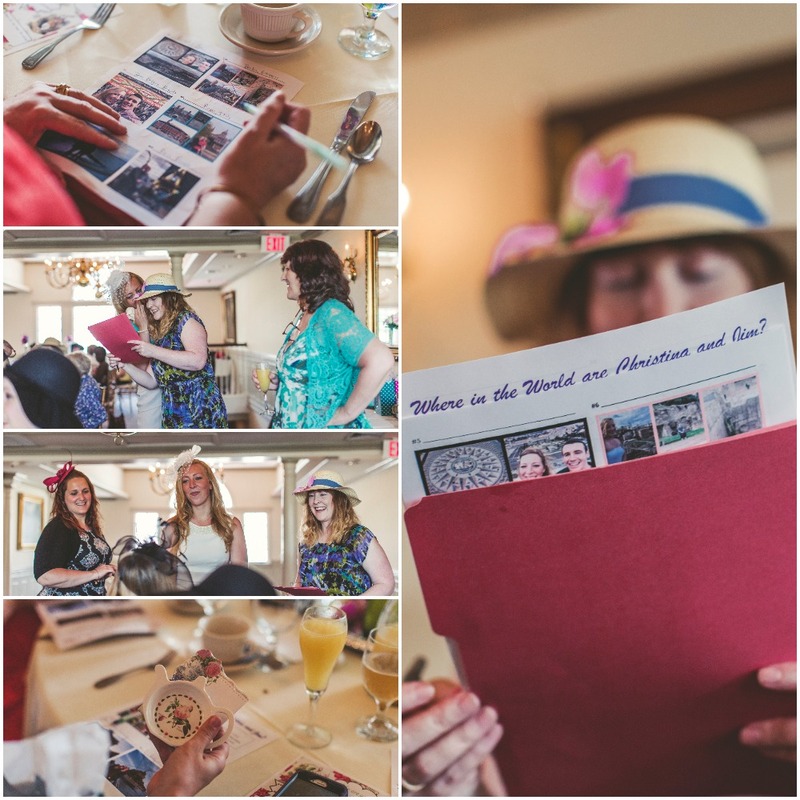 We hope you enjoyed reading about this English Garden Party as much as we enjoyed planning and attending it. 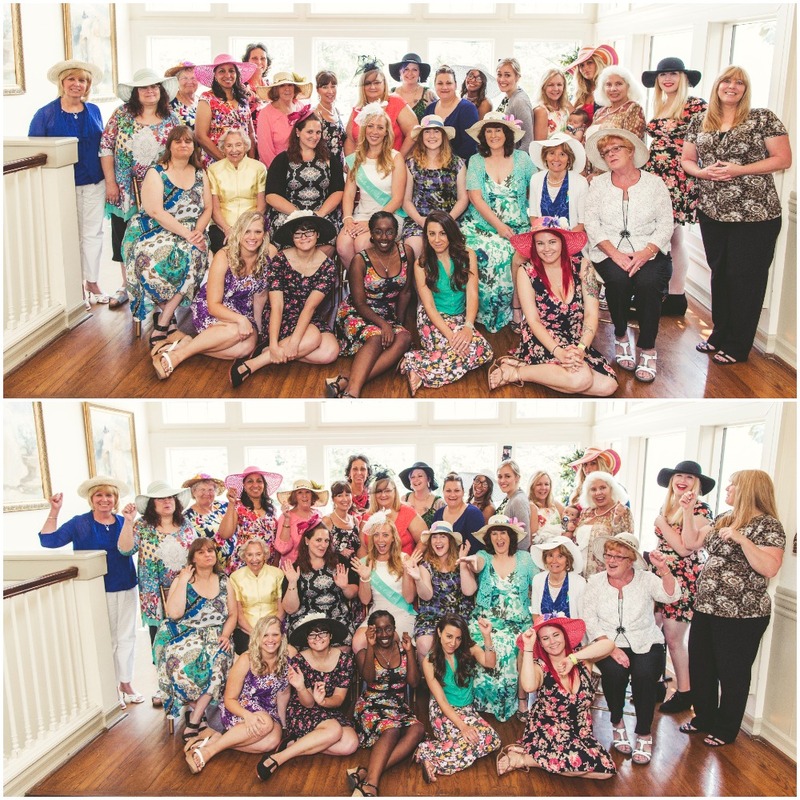 What do you think of this English Garden Party bridal shower? Tell us in the comments. What a beautiful day! It looks like everyone had a blast! 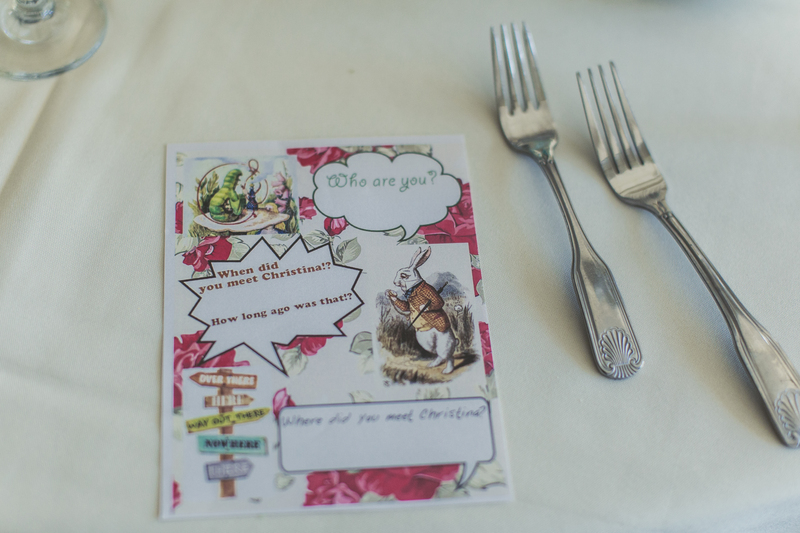 This was such a cute bridal shower. I love how you gave some direction on attire. So that everyone fit within the theme without forcing anyone to have to go shopping for an outfit. Aww thank you Cathy! I love to spoil my sisters and friends. It’s so much fun celebrating with them. This is such a cute bridal shower idea! 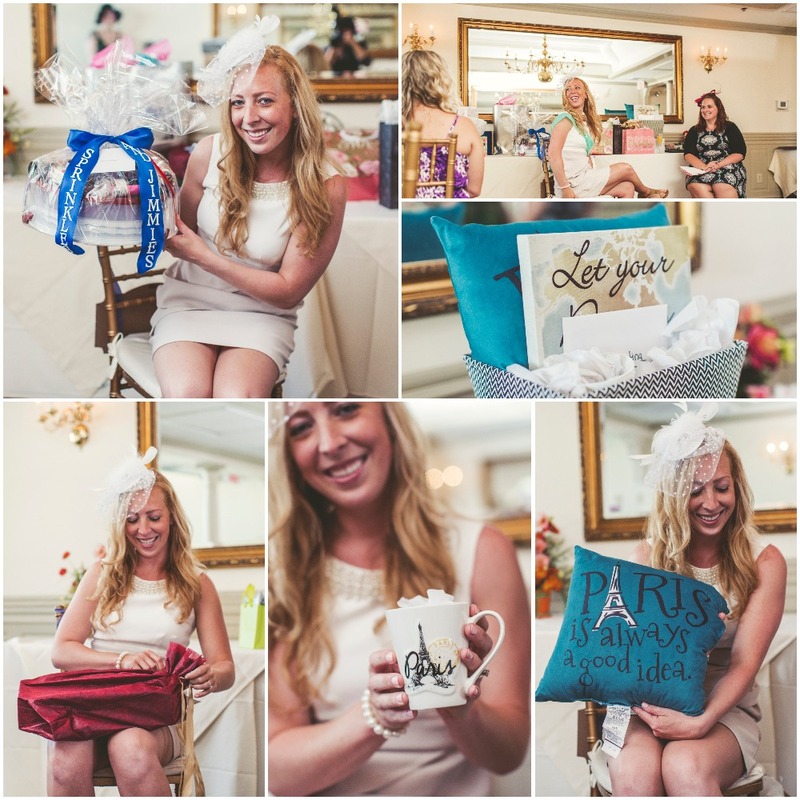 I really miss my bridal shower days. I’d love to plan one for someone! This looks so fun! You had great ideas. 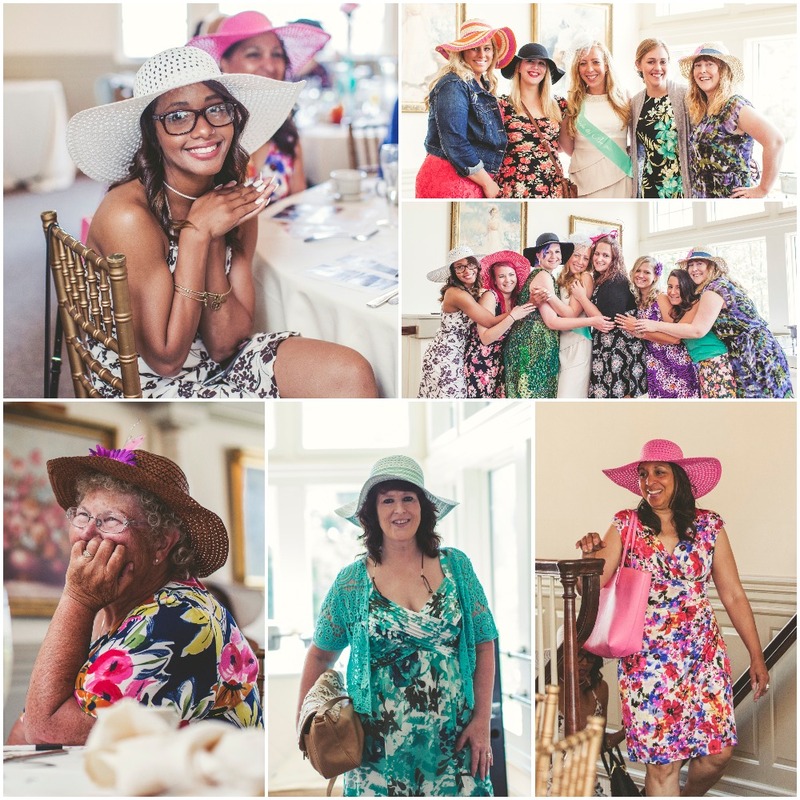 This Backyard Picnic Bridal Shower Focused on Love and FaithBridal Shower, Bridesmaids Confess!